Finding the balance between performance and price can be difficult. 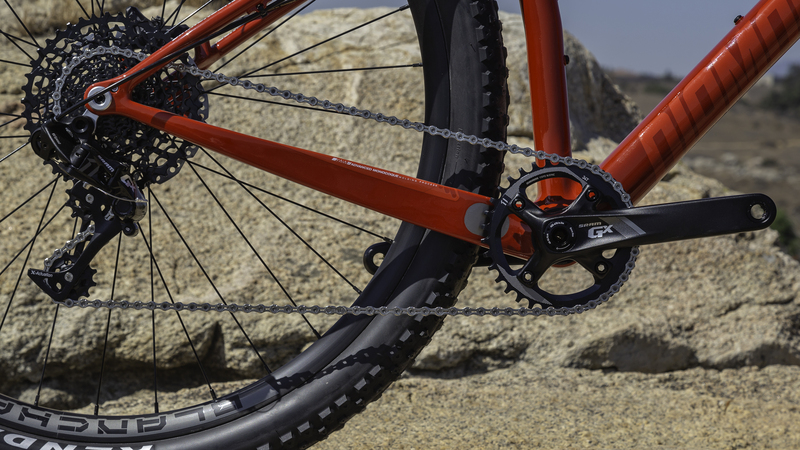 It wasn’t easy, but Diamondback achieved just that with the new Overdrive Carbon Pro 29, a race-ready lightweight carbon hardtail that your wallet will appreciate. 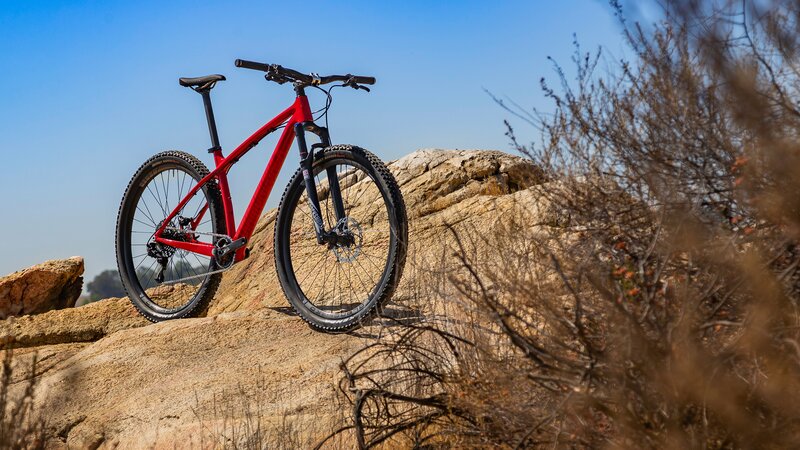 The Overdrive Carbon Pro is Diamondback’s flagship hardtail and it’s spec’d with industry leading components creating a very impressive build for the price. 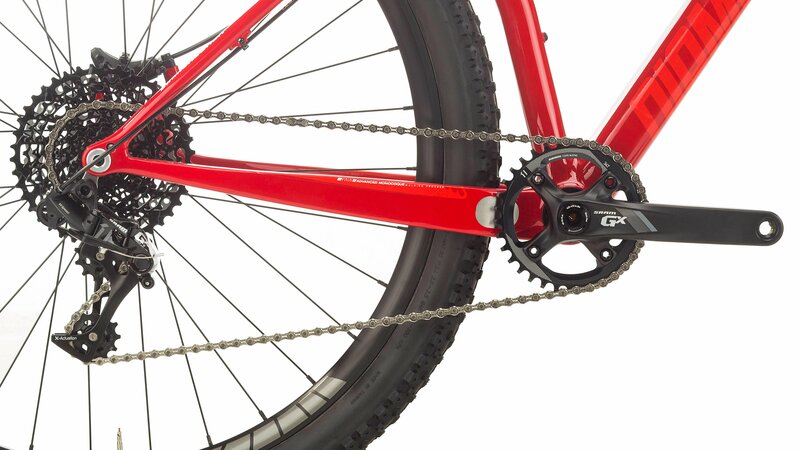 Powered by SRAM’s GX 11-speed 1x drivetrain, the bike provides an ultra-wide range of gears for easy climbing while avoiding the clutter and mechanical issues of running a front derailleur. 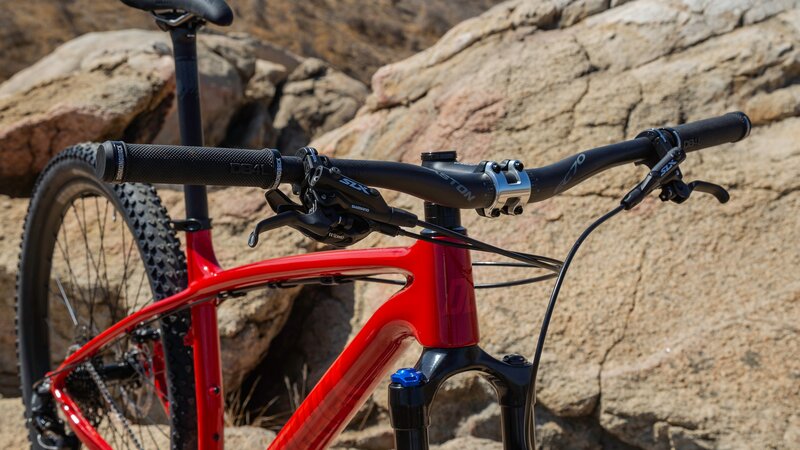 A Rockshox Reba RL fork smooths out the trail under you with the renowned Charger damper and the Shimano SLX brakes provide excellent modulation and power while descending. The large 29” wheels maintain high rolling speeds and have a much easier time monster trucking over obstacles than smaller 27.5” and 26” wheels. Another key feature of the Overdrive Carbon Pro is the tubeless ready wheels. Installing a tubeless setup on your bike allows you to run lower pressure without getting pinch flats. This increases your overall traction and control on the trail. Tubeless sealant also takes care of any small punctures that want to end your ride. If you like unparalleled grip and fewer flat tires, tubeless is the way to go. 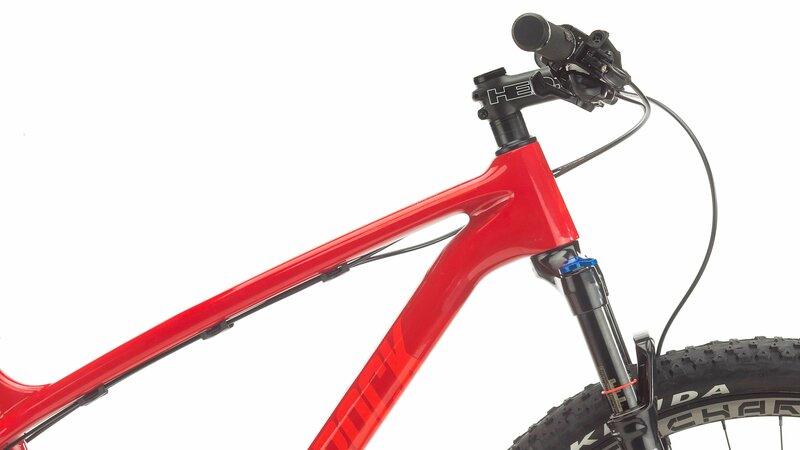 Whether you are looking to get into XC racing, or just want a fun carbon bike to take to your local trail network, you can charge with confidence knowing you have a full carbon frame with a high-end build guiding you down the trail. 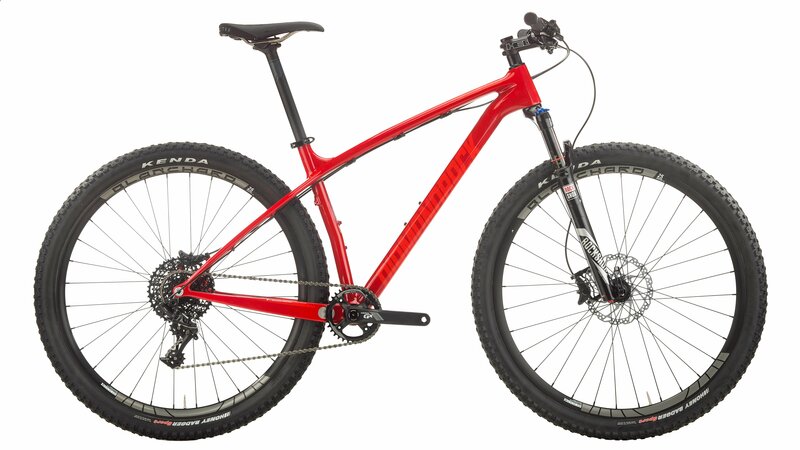 Diamondback has presented cyclists with the opportunity to buy a race-ready carbon XC hardtail, without emptying their bank account. Experience high-end performance at a fraction of the price. Buy an Overdrive Carbon Pro today! 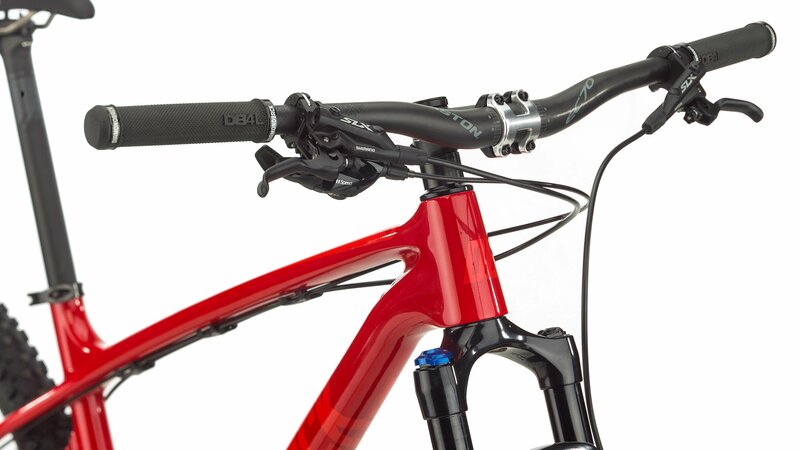 DB AMMP XC MTB Carbon Technology, Full Monocoque Construction, 12 x 142 spacing. Kenda Honey Badger Sport 29 x 2.2"
Does the newer model year of this bike have any features this bike does not have? BEST ANSWER: 24.8 was what is listed on my Jensen build sheet (from the tech that went over it prior to shipment). That weight measurement is likely without the included platform pedals. On a side note, I took off the suspension fork & replaced it with a Whiskey 9 Mountain fork & dropped more than 1.5 lbs. I also have titanium & magnesium pedals. The bike is very lightweight (all things considered). Eventually I will try to get it closer to the 21-lb territory once money is available in my bank account! Can I put a dropper posts on it? 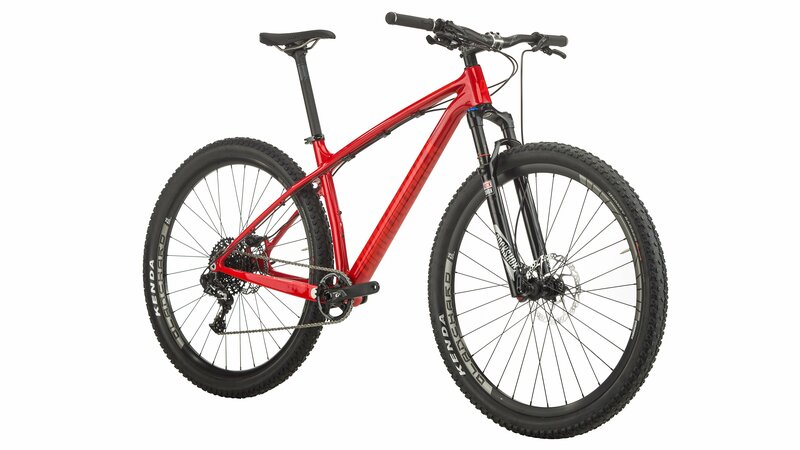 BEST ANSWER: Yes you can, but it doesn't have internal cable routing so you have to get an externally routed dropper. Yes, an external routed dropper or a blue tooth wireless dropper. I have one on mine. What is the sizing on this Diamondback overdrive carbon? I am 5' 10"
Is it true that this bike does not have boost spacing?? BEST ANSWER: The Overdrive Pro is a 2017 model from Diamondback. Give me a call if you would like to get one on order! Keep Pedaling! What model year is this? Can I install a dropper posts on this frame?